Editor's Note: This article was originally posted by the Michigan Department of Transportation. 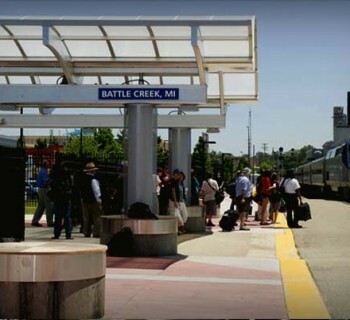 Amtrak and the Michigan Department of Transportation (MDOT) introduced roll-on bike service today. MDOT posted a video to YouTube showing how easily bikes are stored on its Blue Water trains. 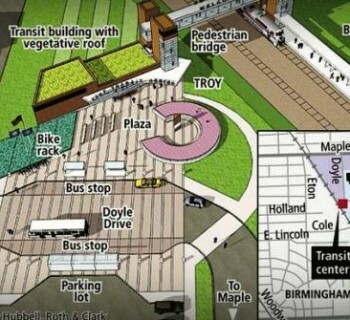 "Amtrak debuts bike racks on Blue Line service" can be viewed on MDOT's YouTube channel at http://youtu.be/LqTWDLBJNa0. Featured in the video are John Lindenmayer from the League of Michigan Bicyclists, Amtrak's Derrick James, and MDOT's Tim Hoeffner and Jeff Cranson. Uniquely in the Midwest, railcars on the Blue Water have been modified to create an area to securely carry up to four bikes per train on a popular route that serves two large state universities (Michigan State University and Western Michigan University) and several bicycle-friendly communities. 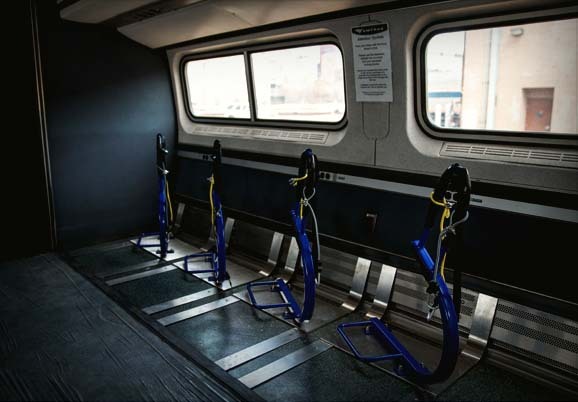 Amtrak services in the Chicago Hub also welcome walk-on bikes on routes in Illinois and Missouri in unmodified railcars. For more information, visit www.Amtrak.com.